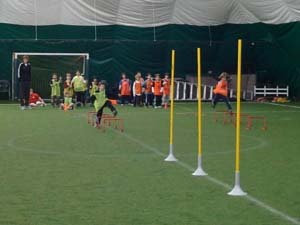 Designed for sports fanatics who just want to play and have fun, the multi-sport clinic is a great way to get exercise. 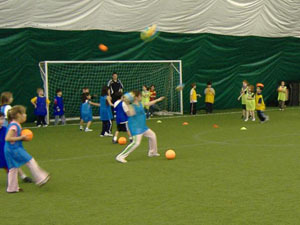 Participants play various field sports, including soccer, wiffle ball, team handball, flag football, dodgeball, and gaga under the supervision of qualified instructors. Sneakers or turf shoes are required. Little Sports provides an introduction to a variety of sports for kids in Pre-K. Sports include soccer, tennis, t-ball, and basketball. Our coaches teach the fundamentals while keeping the games fun and exciting.